ALBUQUERQUE, N.M. -- A treasure hunter who disappeared this year while searching for an author's cache of gold and jewels in the New Mexico wilderness was confirmed dead by authorities Tuesday after his remains were discovered west of Santa Fe. 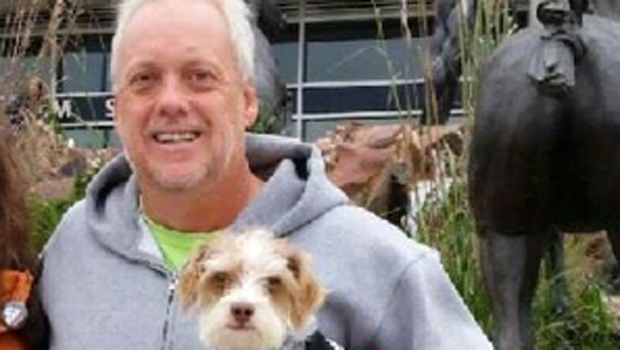 Santa Fe Police spokesman Greg Gurule said medical investigators confirmed the remains found along the Rio Grande north of Cochiti Lake July 18 were those of Randy Bilyeu, a 54-year-old grandfather from Colorado. Gurule said the investigation into the death remains active and declined further comment. Bilyeu disappeared in early January while searching for antiquities dealer and writer Forrest Fenn's $2 million trove in northern New Mexico. Fenn dropped clues about the treasure in a cryptic poem in his 2011 memoir, "The Thrill of the Chase." The self-published work spurred tens of thousands to search for Fenn's loot. An eccentric 85-year-old from Santa Fe, Fenn has inspired a cult following since his announcement that he stashed a small bronze chest somewhere in the Rocky Mountains. Amid the craze, he has tried to dissuade people from searching in the winter, saying the treasure is not hidden in a dangerous place. He also tells followers not to look "any place where an 80-year-old man couldn't put it." Treasure hunters have searched in vain through remote corners of New Mexico, Yellowstone National Park and elsewhere in the mountains. They share their experiences on blogs and brainstorm about the clues. The mystery has been featured on national networks, igniting even more interest. Family and friends say Bilyeu, who would have turned 55 in February, bought a raft and set out on Jan. 5 after scouting for two weeks along the river west of Santa Fe. He had a GPS device, a wetsuit and waders. He brought along his little white dog, Leo. More than a week passed before a worried friend reached out to Bilyeu's ex-wife in Florida, Linda Bilyeu, who filed a missing person's report on Jan. 14. His raft and dog were found the next day. Authorities called off the official search for Bilyeu in January, citing a lack of evidence to point them in the right direction. But Bilyeu's friends, fellow treasure hunters and family, including his ex-wife, continued their own search. Fenn also joined in what became an increasingly desperate mission last winter to find Bilyeu. Linda Bilyeu told the Albuquerque Journal she was, as the newspaper put it, "thankful for search-and-rescue efforts and the scores of volunteers who helped look for any sign of Randy over the last six months. But she said the father of her two daughters died looking for something that she doesn't believe even exists. Bilyeu wasn't the first "Fenner" whose disappearance spurred a search. Three years ago, a woman from Texas - drawn by a national television report about the treasure - got lost searching the mountains near Bandelier National Monument in New Mexico. She spent a March night in rugged terrain and was walking out the next day when rescuers found her.